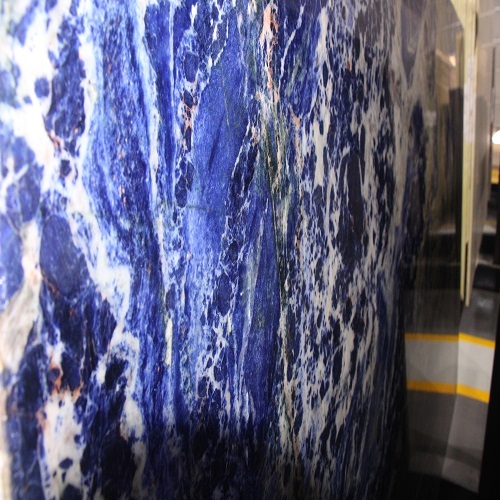 HR Stone company invest sodalite blue quarry in Africa, The sodalite rock in Africa that also contains abundant blue sodalite and white nepheline. Both of these minerals have a hardness of approximately 6 on the Mohs hardness scale. Our quarry start to yield two kinds of blue sodalite blocks-big size blocks and small size blocks. Small block has two sizes: 3-10cm 10-30cm ,which has very blue color, we produce them into various finished products such as laminated slab ,tiles, countertop and table top to sale. Sodalite is a rare blue vein stone found mainly in rocks. Some rocks containing abundant sodalite can be polished to a beautiful luster and are durable enough for a variety of uses. When polished they often display attractive white patterns produced by other minerals dispersed through the rock. For these reasons and especially for its blue color, sodalite is valued as a gem material, ornamental stone and architectural material. 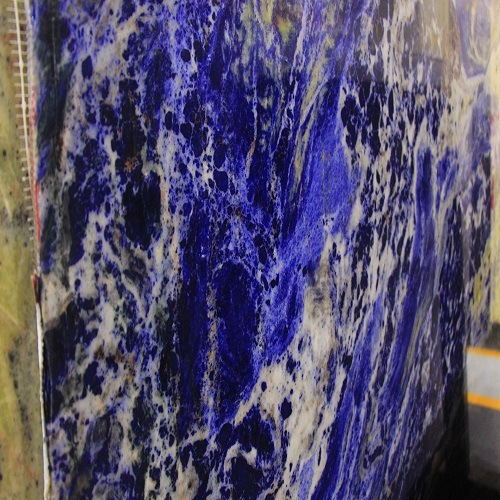 Through professional testing, Sodalite is mainly composed of silica and Alumina. Looking for ideal Blue Vein Stone Manufacturer & supplier ? We have a wide selection at great prices to help you get creative. 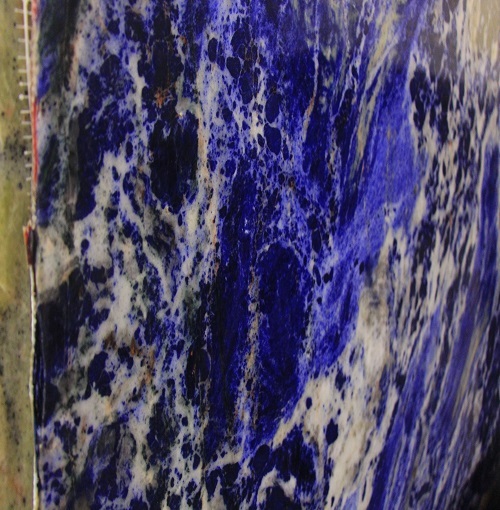 All the Sodalite Blue are quality guaranteed. We are China Origin Factory of Sodalite Stone. If you have any question, please feel free to contact us.